The Fujifilm X-T20 may very well be my perfect camera. After coming to terms that I could not justify the expense of an X-T2, and after being tempted to buy a used X-Pro2 but holding off, a posting for a used X-T20 popped up on Craigslist. 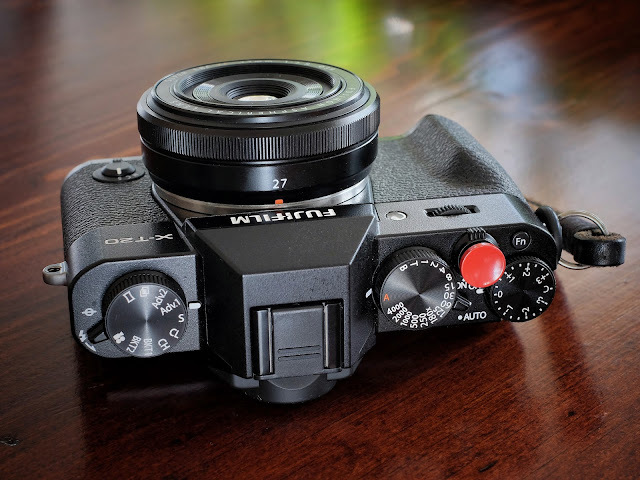 Hmmm...even though I had always set my sights to Fuji's top of the line offerings, nonetheless I obsessively poured through the X-T20 reviews and YouTube videos. Something became apparent; I am now a mid-range kinda guy.